You can apply for all Foundation Nursing scholarships by submitting a single Foundation Nursing Scholarship Application via Etrieve. The Ron & Keli Lynn Roach Memorial Health Occupations Scholarship was established by Peggy Roach in memory of her husband Ron and daughter Keli Lynn. The scholarship was initially the Keli Lynn Roach Memorial Scholarship, then following Peggy’s husband Ron’s untimely death, January 8, 1997, Peggy established a Ronald Roach Memorial Scholarship. These scholarships were merged in July of 2008. Keli Lynn Roach, second child to Ron & Peggy, was stillborn on December 8, 1984, following years of infertility. Peggy stated, “everyone sees pregnancy as a happy time but rarely does anyone talk about the devastating reality of the hard times that can happen, this is where the medical staff steps in.” Because of the care, concern and genuine compassion of the nursing staff at Sturgis Hospital Ron & Peggy were inspired to give back and establish a scholarship for deserving nursing students to help them pursue their dreams. The purpose of this Fund is to provide scholarship support to qualified individuals in the Health Occupation programs at Glen Oaks Community College. This scholarship is to be awarded to talented students committed to the health profession who plan to complete a two-year degree, or a certificate program at Glen Oaks Community College, or other degree or certificate program for health occupation students established in the future. The effect of this scholarship, in addition to functioning as a strong incentive for and a prestigious acknowledgement of excellence in the health occupations area of studies, would be to raise the rate of retention for talented students by providing a strong and appealing reason for remaining at Glen Oaks Community College. The Scholarship will serve to honor and substantially reward each year’s recipients and to significantly enhance and embellish the Glen Oaks Community College Health Occupations programs as a recruitment and retention tool. Final selection by the end of July. This is a Scholarship to be granted to the student for education related expenses. The Office of Financial Aid will disburse the scholarship according to the standard school policy. If, at any time, the College Foundation policies and procedures in effect for the administration of award and scholarship funds are changed, these provisions will be automatically modified to conform. The fund is now endowed and monies will be held in a restricted endowed account. Distribution will begin in the 2008 /09 school year. Whenever it appears that changing conditions make this plan no longer applicable, practical, or suited to the general purposes stated above, the College Foundation would confer with the donor or their representative to secure a modification of the plan. If the Foundation is unable to locate the donor or their representative after reasonable efforts, then the Foundation is authorized to utilize the fund for any other suitable educational purpose, so that the fund will provide the maximum service to the community through the advancement of higher education. Foundation scholarship applications are now submitted online through our Etrieve portal. Login to access the applications using your Glen Oaks Viking ID (used to sign in to WebAdvisor & Canvas). If you do not have a Viking ID use a Google email account. Select Forms, scroll to Scholarships, and select the scholarship by name. 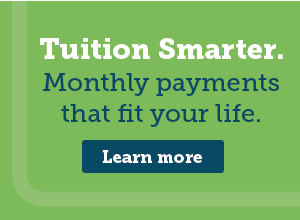 Check out our programs and get started earning your degree today! Glen Oaks is your best choice for post-secondary education in South West Michigan! Please visit the Glen Oaks Event Calendar for information on all upcoming Glen Oaks events. Glen Oaks Community College makes every effort to ensure that our web pages are ADA compliant. Please report any accessibility issues to the Web Accessibility Coordinator.